« Diam Bouchage designs, manufactures and markets technological cork closures for still wine, sparkling wine and spirits. So much more than a simple stopper, the cork is the last oenological act of the winegrower. It must enable the wine to fully develop in the bottle throughout the ageing period and maintain the aromatic profile sought for a particular wine. « Diam Bouchage designs, manufactures and markets technological cork closures. As the last oenological act of the winegrower, the closure must enable the wine to fully develop in the bottle and maintain its aromatic profile. Diam Bouchage has always been an innovative company; every year, it allocates a substantial budget to research and development. In 2003, the company began investing in a revolutionary, patented process, called the DIAMANT® process that uses the properties of supercritical CO2 to extract the volatile compounds of cork and eradicate the molecules responsible for giving a taste to the wine, especially those causing “cork taint”. Twelve years later, the company made yet another breakthrough in major technological progress with the launch of Origine by Diam®, a closure that reconciles science and nature, integrating a beeswax emulsion and binding agent composed of 100% plant-derived polyols. Diam Bouchage allocates a substantial budget to research and development. 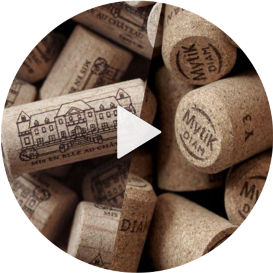 In 2003, its patented DIAMANT® process allows to extract the volatile compounds of cork and eradicate the molecules responsible for giving a taste to the wine, especially those causing “cork taint”. In 2016, the company launches Origine by Diam®, a closure that reconciles science and nature, integrating a beeswax emulsion and binding agent composed of 100% plant-derived polyols. Diam Bouchage is a subsidiary of Oeneo, a group working in the world of wine through two divisions: winemaking (Seguin Moreau – Vivelys) and closures (Diam Bouchage).